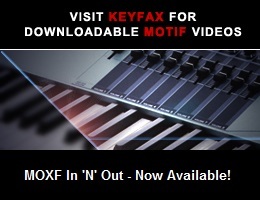 Viewing topic "MOXF6 controles Cubase with keys?!" My MOXF6 is normally connected with host usb to Cubase 9.5 pro but With some key I can control Cubase. Select next trach in editor window .e.g. i even can start cubase simultaniously with moxf its own sequencer, while DAWremote is on. Does anyone know how to olve this problem? I don’t fully understand the question. Do you want Cubase to start when you play a certain key? Like some arps. If you want the MoXF sequencer to start when you start Cubase in DAW control you will have to set the project sync settings, I think. Let Cubase be master clock and make sure the MoXF is one of the targets.